Everything melts from its radiant glow. Now leaving the land, dark as night. Never to feel God’s love again. © Copyright 2004 InHisArms (UN: dawnsm at Writing.Com). This poem was written for a contest describing the picture above, it came in Second Place. 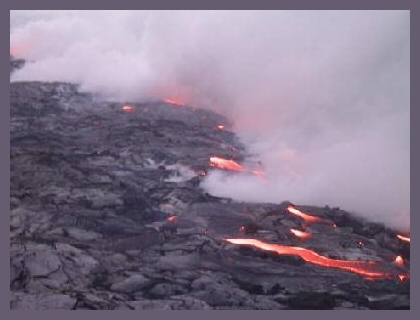 The picture is a picture of Kilauea Lava Flow.